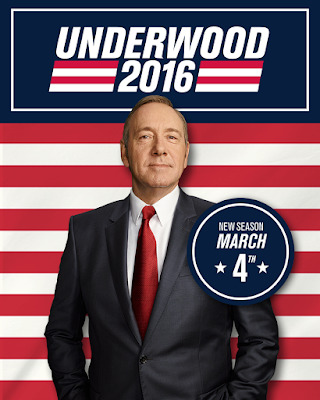 Netflix's popular series, House of Cards, is back in 2016, and Frank Underwood (Kevin Spacey) has a new vision for America under his presidency! The show's Twitter account just posted a quick teaser of season four, announcing the show's return on March 4, 2016. Definitely having a binge watching session that weekend! Check out the short ad below!